1. Only Paypal or Unionbank EON (UBP) payments are accepted. For PayPal, send payment to ruby(at)pinaymommyonline(dot)com. For payment through banks, please email me for bank details. 2. All advertising quotes above are effective as of the 30th of April, 2015 until further notice. 3. After payment, please send advertising details to admin(at)pinaymommyonline(dot)com or using my CONTACT FORM. 4. 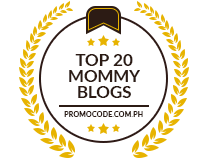 For compensated reviews or a post with your own advertising content, please email admin(at)pinaymommyonline(dot)com for more details. 5. Discounts are given to advertising purchases from six months to one year contract. Bulk purchases? Contact me for bulk prices.